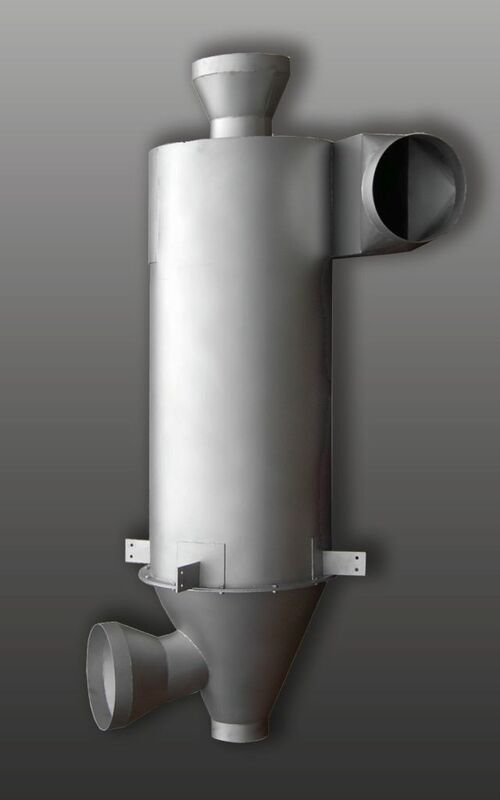 The Girotron differs from the classic cyclone separators with its double delta tube. The rinse is fed from the separator via two tubes (up and down). By dividing the current, the diameter of the dip tube can be considerably reduced with the same pressure loss. The result is a significantly higher degree of severity at the same pressure loss than in conventional cyclone separators. The dust-laden air enters tangentially into the Girotron housing. It is twisted. A rotating vortex with extremely high centrifugal forces is formed. The dust particles are thrown against the outer wall. 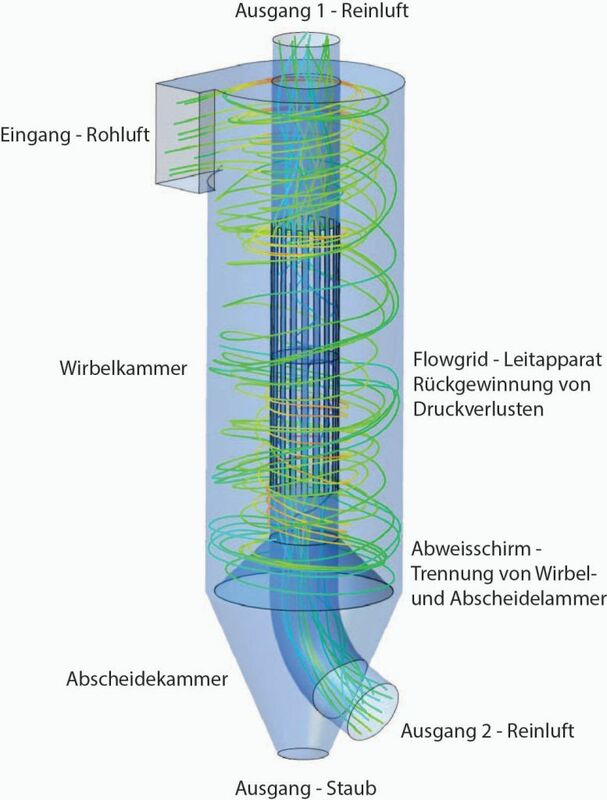 The clean air flows into the outlet pipe through a specially calculated flow finder and is led out of the Girotron turbulence chamber upwards and downwards. Since the pressure loss is strongly dependent on the gas properties, as well as the characteristic quantities of the thermodynamic Prozessess, the pressure drop is calculated individually for each application. • Material: Steel, Stainless steel 1.4301, 1.4541 or 1.4571, stained finish. • Construction according to AD 2000, or other regulations. 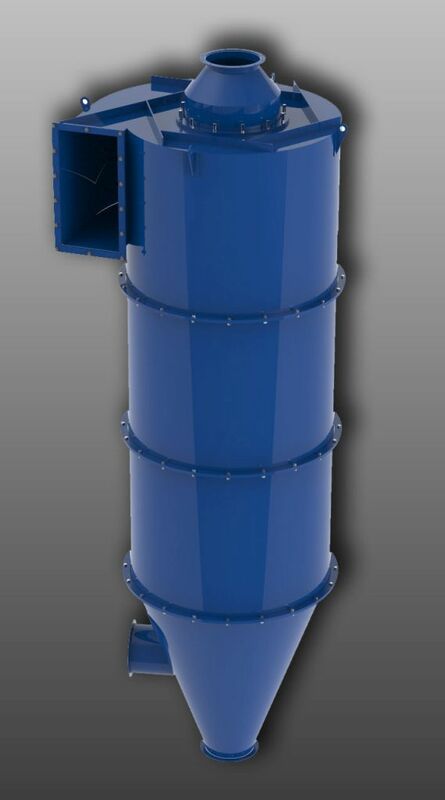 Compared with the classical cyclone has the Girotron at small grain sizes, an increase of 90% filtration efficiency. The use of Girotons yield considerable Energieersparungen. 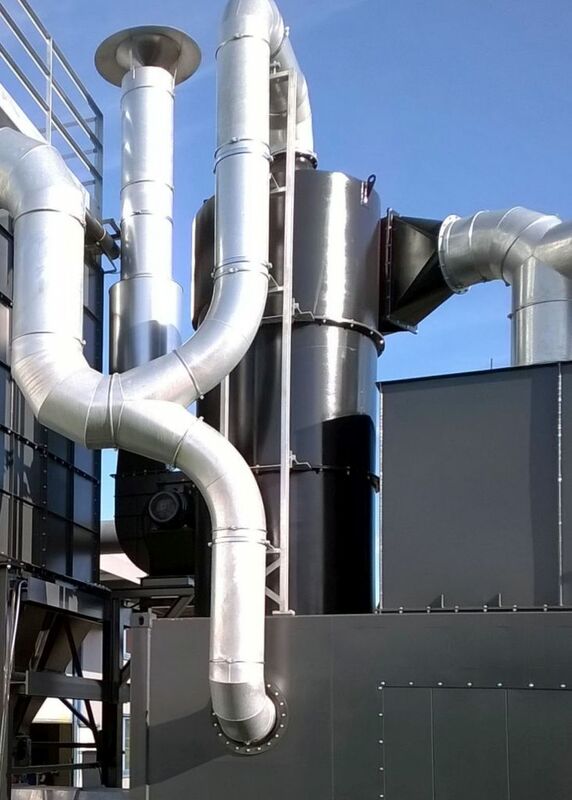 A Girotron has a 50% lower pressure drop in comparison with a cyclone the same filtration efficiency. Taking into account the fact that the operating costs of a cyclone, the cost of acquisition exceeds by several times, it is clear that significant price advantage. Due to its high degree of separation often allows a subsequent filter stage to realize smaller, and even completely avoided. In this case, the Kosteneffiziens a Girotron is unbeatable. 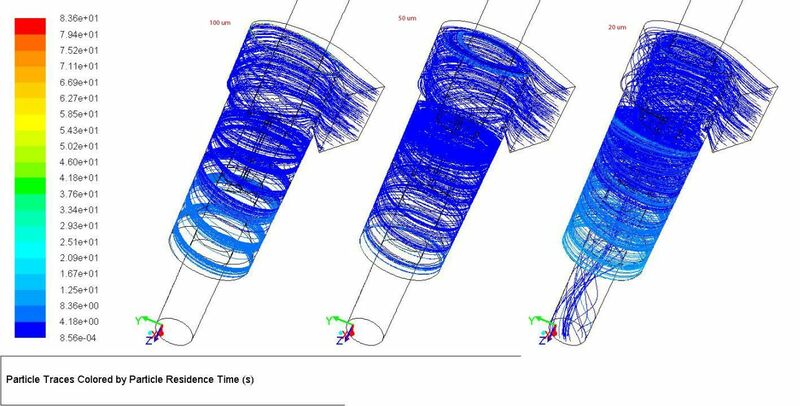 Due to the higher flow rate compared to conventional cyclones of the same size to complex dual or quad configurations of cyclones in a single Girotron be consolidated. Through the using of a single Girotrons can be saved costly peripheral equipment. Abrasive dust cause utilization on the surfaces. For the same flow rate of Girotron offer less friction than conventional cyclones.